The Canadian Veterinary Medical Association (CVMA), with the input of key stakeholders, created the CVMA Guidelines for Veterinary Antimicrobial Use, a new online platform to support you in your decision-making on appropriate and responsible use of antimicrobials in animals. Is a searchable interface with filtering capabilities for quicker access to information on antimicrobial use. Allows for more frequent updating of information and the addition of new resources to ensure it represents the latest in guidance and science-based knowledge. Is accessible from a variety of devices (e.g. laptop, tablet, smartphone). Is currently available in English, and the French platform will be available in the coming months. All licensed veterinarians in Canada will be granted full access to all content on the information platform until April 1, 2019. After that date, only active CVMA members will have full access. Have your CVMA website log-in ready. 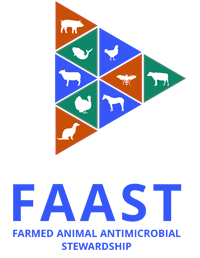 Future platform development will include integrated links to other key resources, veterinary guidelines for other animal species, information on alternatives to antimicrobial use, and be available in both official languages.